Mighty Captain Marvel #0 (2017) Elizabeth Torque Cover. Margaret Stohl Story. Ramon Rosanas Pencils. (Marvel Now Tie-In) Behold the mightiest, fightiest super hero there is! Captain Marvel returns to her helm as Alpha Flight commander with the world cheering her on. 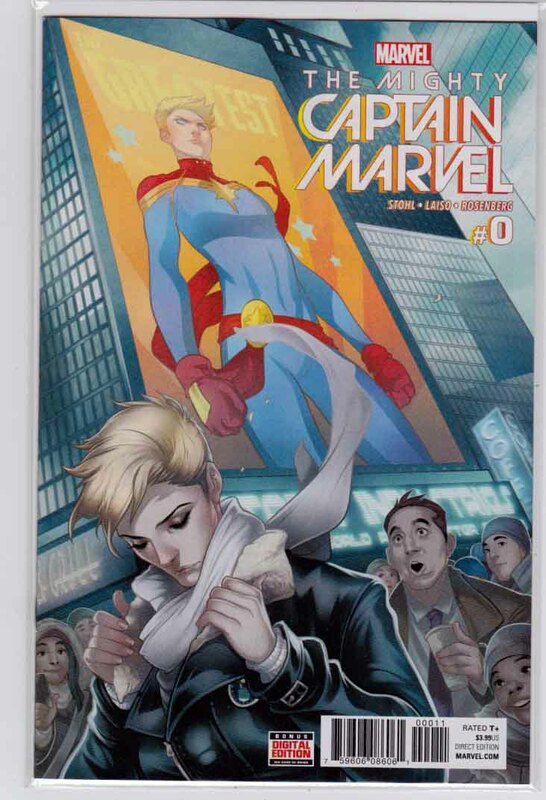 She's the biggest hero in the world, but has Captain Marvel become someone Carol Danvers no longer recognizes? New York Times bestselling author Margaret Stohl (Beautiful Creatures, Black Widow: Forever Red) makes her comics series debut in a blockbuster Marvel story decades in the making.. Mighty Captain Marvel #1 (2017) Elizabeth Torque Cover. Margaret Stohl Story. Ramon Rosanas Pencils. (Marvel Now Tie-In) The Greatest. That's what they call her. Carol Danvers has been to the depths of outer space and back, but that still hasn't prepared her for her newfound status of biggest super hero ever. Yaas, Queen! Danvers may not like the crown she's wearing, but boy does it look good on her. Just watch out for the thorns it comes with - forces trying to take down everything Carol has built. Carol Danvers makes her triumphant return as the Mighty Captain Marvel! Mighty Captain Marvel #1 (2017) Variant Jenny Frison Marvel Hip-Hop Cover. Margaret Stohl Story. Ramon Rosanas Pencils. (Marvel Now Tie-In) The Greatest. That's what they call her. Carol Danvers has been to the depths of outer space and back, but that still hasn't prepared her for her newfound status of biggest super hero ever. Yaas, Queen! Danvers may not like the crown she's wearing, but boy does it look good on her. Just watch out for the thorns it comes with - forces trying to take down everything Carol has built. Carol Danvers makes her triumphant return as the Mighty Captain Marvel! 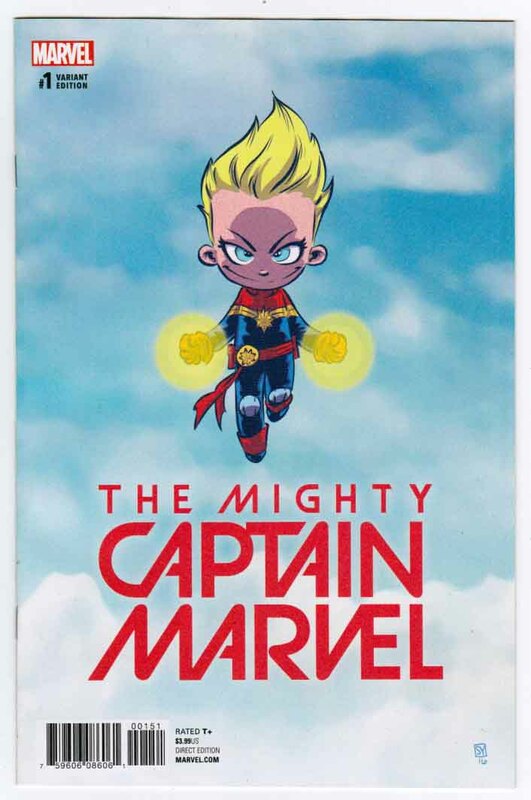 Mighty Captain Marvel #1 (2017) Variant Skottie Young Baby Cover. Margaret Stohl Story. Ramon Rosanas Pencils. (Marvel Now Tie-In) The Greatest. That's what they call her. 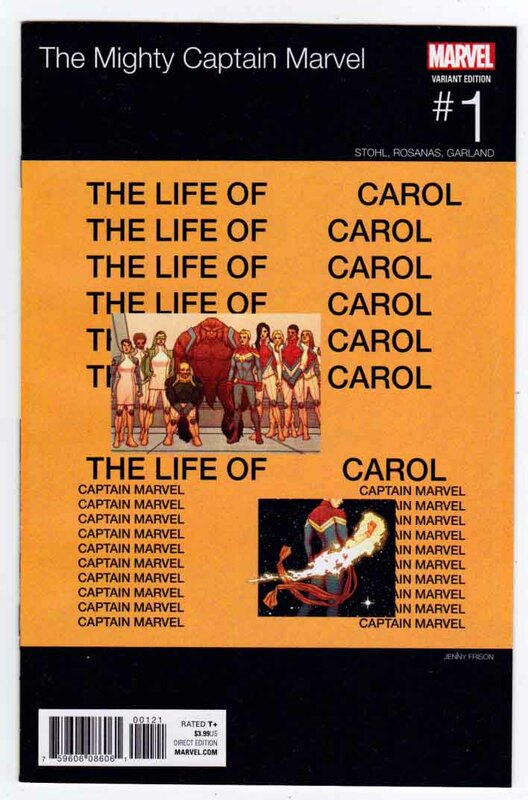 Carol Danvers has been to the depths of outer space and back, but that still hasn't prepared her for her newfound status of biggest super hero ever. Yaas, Queen! Danvers may not like the crown she's wearing, but boy does it look good on her. Just watch out for the thorns it comes with - forces trying to take down everything Carol has built. Carol Danvers makes her triumphant return as the Mighty Captain Marvel! 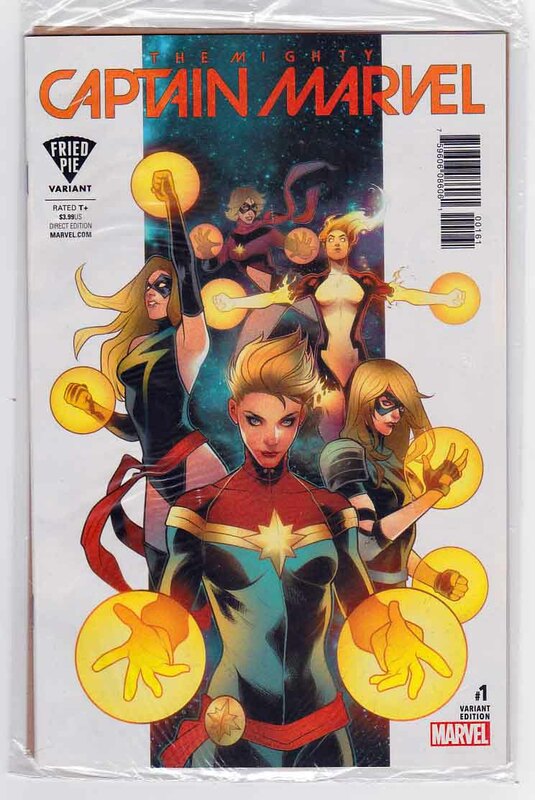 Mighty Captain Marvel #1 (2017) Fried Pie Variant Elizabeth Torque Cover. Margaret Stohl Story. Ramon Rosanas Pencils. (Marvel Now Tie-In) The Greatest. That's what they call her. Carol Danvers has been to the depths of outer space and back, but that still hasn't prepared her for her newfound status of biggest super hero ever. Yaas, Queen! Danvers may not like the crown she's wearing, but boy does it look good on her. Just watch out for the thorns it comes with - forces trying to take down everything Carol has built. 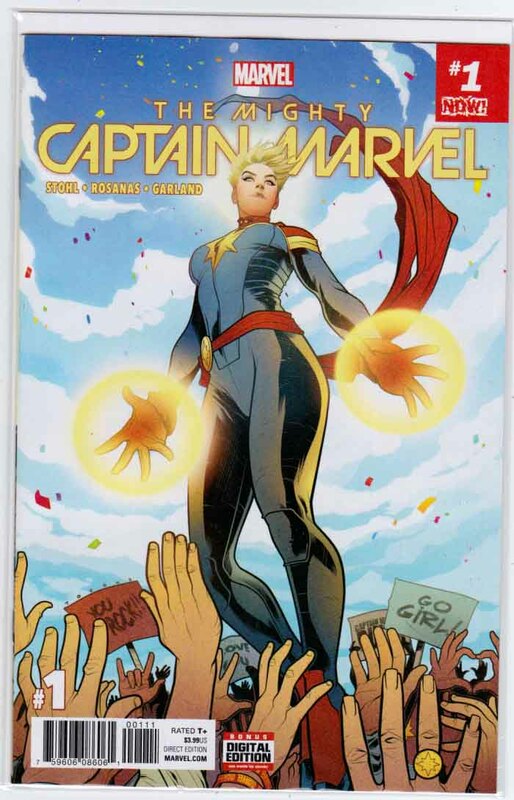 Carol Danvers makes her triumphant return as the Mighty Captain Marvel!